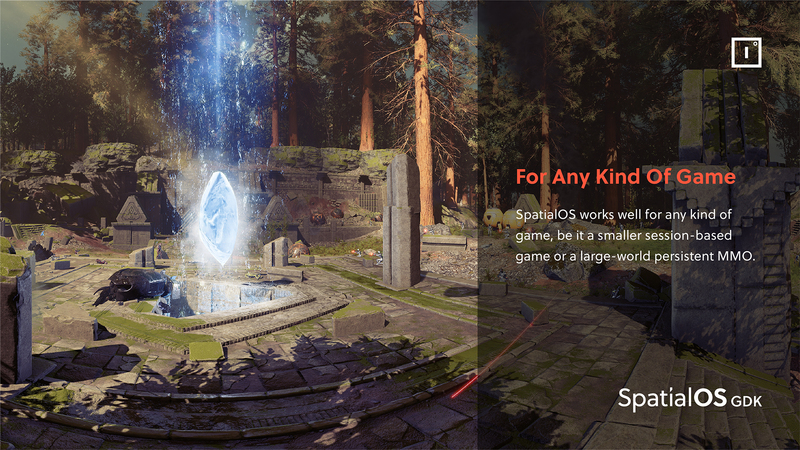 Improbable has released the new SpatialOS Game Development Kit (GDK) for Unreal Engine, which enables you to use Unreal Engine to create and scale multiplayer online games using the SpatialOS platform. The SpatialOS GDK for Unreal is now available to download for free from the Unreal Engine Marketplace. 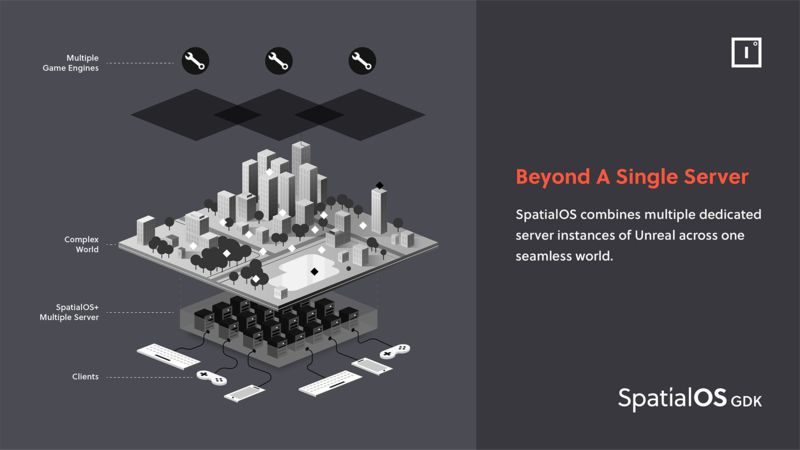 For those who don’t already know what SpatialOS is: it’s a platform for creating games that go beyond the limits of a single server, enabling you to implement new kinds of gameplay that would be impossible with the traditional client-server approach. As a fully managed service, it does all of the work required to host, run and scale your game globally while you focus on finding the fun. 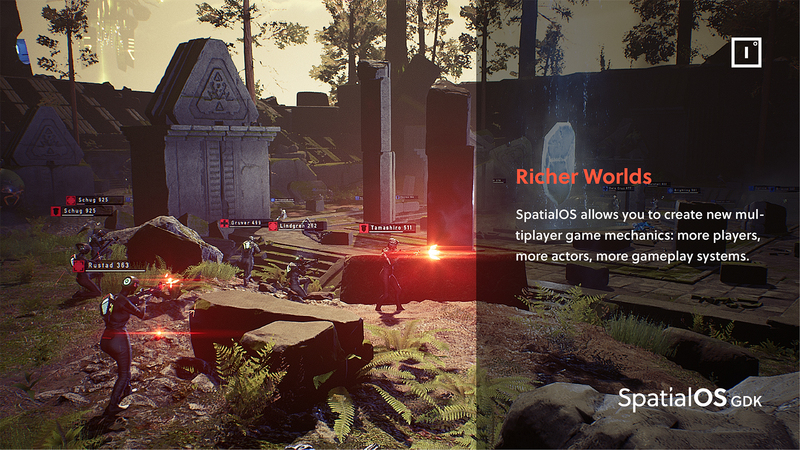 What this means is that if you’re looking to make a multiplayer game using Unreal Engine, you can use the new SpatialOS Game Development Kit for Unreal to tap into Unreal Engine’s networking APIs to turn the client-server architecture into a distributed one, with your game hosted on Improbable’s global cloud platform - and it can be used for new or even existing games. Released today, the new SpatialOS GDK for Unreal allows you to seamlessly integrate SpatialOS with UE4’s native workflows, replacing Improbable’s older SDK. Pre-release versions of the SpatialOS GDK for Unreal are already being used by celebrated game developers. Aaryn Flynn, former General Manager of BioWare, used Unreal Engine to build hits like the Mass Effect trilogy. Now, as Improbable’s General Manager, North America, he and his team are using Unreal Engine to build original demonstrative game content highlighting the unique possibilities of SpatialOS. Improbable has worked hard to enable Unreal servers to talk to each other using familiar Unreal semantics, enabling you to tap into more computing power than a single server can provide. This opens the door for games with many more players, Actors and gameplay systems than previously possible. A key focus of Improbable’s work on the GDK was to keep the workflows and networking APIs familiar to users of Unreal Engine, while introducing new, native-feeling idioms that extend Unreal’s networking. This enables the GDK to retain the functionality of the networking features Unreal offers out of the box: transform synchronization, character movement controller, client-side prediction and so on. It is also a way to retain familiar Unreal Engine development workflows - Blueprints work the same, and the GDK’s iteration speed parallels that of vanilla Unreal Engine. The SpatialOS GDK isn’t only useful for new projects; the GDK was actively designed to support trouble-free porting, so you can deploy your existing Unreal Engine game onto SpatialOS and get it working with a few simple steps. This gives you the ease of hosting and managing your online game that comes with SpatialOS, and the freedom to iterate and grow your game based on user feedback, quickly and without limits. And, whether your game is built on SpatialOS from the start or ported over, you’ll be able to take advantage of its advanced metrics, logs and our unique World Inspector, to visualise your live game processes and debug them. With SpatialOS, you can start small and literally grow your game’s map along with your player count, with SpatialOS scaling the compute power needed behind the scenes. With no worries about technical infrastructure, a game could transition from an arena shooter to a Battle Royale to an open world MMO, with a little careful design. Each game type has different needs, so giving you the ability to fine-tune replication frequency and granularity is a priority for making sure you are able to achieve the scale you need. Josh Holmes, the co-founder of Midwinter Entertainment and former Creative Director for the Halo franchise, is leading the creation of “co-opetition” survival shooter Scavengers using Unreal Engine and SpatialOS. For more details on the technical aspects of the Unreal GDK, visit the SpatialOS blog at Improbable.